DJ Shoom is an age old alchemist and follower of the Moon and Goddess Earth. Spinning the goa psychedelic vibrations for the purpose of opening the minds of others and bringing them back to Nature. To captivate the energy of the dancers and propel them into the ecstatic trance dance state. Activist for the planet and militant for the causes of freedom from the oppressors. 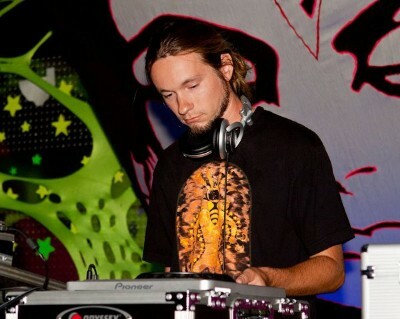 Shoom began mixing Goa & Psytrance in 2004, guesting weekly on WKNC 88.1 FM in Raleigh, North Carolina, where he was able to hone his skills of mixing live and spontaneous. Shoom soon began to record mixes for Digitally Imported Radio's Goa-Psy Trance Channel (http://www.di.fm/). His mixes combined depth and focus to create full length audio journeys that told meaningful stories. In 2008 Shoom took over Program Director duties of Digitally Imported Radio's Goa-Psy Trance Channel. A few years later he created their PsyChill and Progressive Psy Channels. He organizes the popular Summer and Winter Solstice Events on the Goa-Psy Trance and PsyChill Channels that feature top acts from around the world. In that last few years Shoom has played out at many festivals and shows throughout the U.S. including T.O.U.C.H. Samadhi's Equinox and Pangea Production's Welcome To Pangea Pt 5 in North Carolina, Archaic Revival II in Atlanta, Georgia, Spacecamp Psyfari in Iowa, and Cosmic Egg's Quantum Regeneration in Minnesota. Shoom is also half of the projects Sanguine Mandragoa and The Lotus Eaters with his DJ partner Mixtress Bloodwing.